External metrology systems are increasingly being integrated with traditional industrial articulated robots, especially in the aerospace industries, to improve their absolute accuracy for precision operations such as drilling, machining and jigless assembly. While currently most of the metrology assisted robotics control systems are limited in their position update rate, such that the robot has to be stopped in order to receive a metrology coordinate update, some recent efforts are addressed toward controlling robots using real-time metrology data. The indoor GPS is one of the metrology systems that may be used to provide real-time 6DOF data to a robot controller. Even if there is a noteworthy literature dealing with the evaluation of iGPS performance, there is, however, a lack of literature on how well the iGPS performs under dynamic conditions. 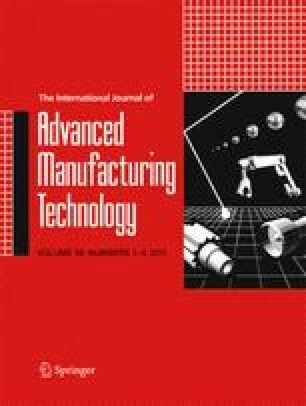 This paper presents an experimental evaluation of the dynamic measurement performance of the iGPS, tracking the trajectories of an industrial robot. The same experiment is also repeated using a laser tracker. Besides the experiment results presented, this paper also proposes a novel method for dynamic repeatability comparisons of tracking instruments.